Manchester United goalkeeper David de Gea has stalled talks over a new contract with the club amid fears he might force his way out of Old Trafford. Jose Mourinho was quoted by Sky Sports this week as rather worryingly stating he was ‘not confident’ De Gea would sign a new contract at the club, which follows the Telegraph claiming he was reluctant to pen an extension to his current deal. 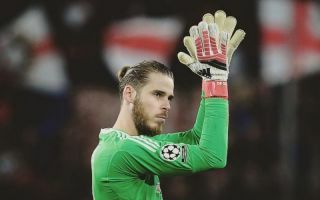 The 27-year-old shot-stopper is widely considered to be the best ‘keeper in English football and has been United’s undoubted talisman during the lean post-Sir Alex Ferguson years. De Gea’s superhuman reflexes and agility has bailed out the Red Devils on countless occasions, as the team has struggled to challenge for major trophies over the past five years under the stewardship of David Moyes, Louis Van Gaal and now Jose Mourinho. At the start of the 2018-19 campaign, it has been a similar story, as Mourinho’s men have slumped to a mid-table position after nine matches, conceding 16 goals in the process. The Spanish number one has been a standout performer once again, albeit not quite as evergreen as in previous years, with a few mistakes setting into his game which suggests that he has become tired of shouldering so much responsibility with so little reward for his efforts. To put it bluntly, at the moment United do not look remotely capable of challenging for silverware this season, regardless of how De Gea performs in the net and for as long as Mourinho remains in charge, that situation doesn’t look likely to change any time soon. The Red Devils ace is a fantastic player who deserves a lot more, having only managed to pick up one Premier League title and Europa League, League Cup and FA Cup winners medals during his seven-year stay at Old Trafford. There is absolutely no doubt that in a better team, De Gea would have a trophy cabinet full of major honours and with each passing year, the temptation for him to move on in pursuit of that kind of success is getting all the more irresistible. “What matters is the team and all of us being focused on what we need to focus on, which is winning games, rather than contracts or any topics that can be a distraction. ” The Spanish star told Sky Sports on Saturday, which should tell you all you need to know about his state of mind. It is high time that United start preparing for a possible future without De Gea and Caught Offside has drawn up five candidates capable of filling the void if he ends up walking away from Manchester. First on the list is Barca’s number one Ter Stegen, whose rise to prominence for the Blaugrana has been meteoric in the four years since he left Borussia Monchengladbach. The German ‘keeper is an all-action, aggressive customer between the sticks, with fantastic positional sense and leadership qualities which have helped to improve Barca defensively in recent times, providing the foundation for their double-winning success last season. At 26 years of age, he will only improve and having already experienced football at the highest level a move to Old Trafford would not faze him one iota – if ever there was the possibility that Barcelona would consider selling him, that is. Camp Nou boss Ernesto Valverde has Jasper Cillessen and Jokin Ezkeita on his books as understudies to Ter Stegen, but neither man is in the same class, meaning Barca would need to have a sure-fire replacement lined up in order to let him go. United could, therefore, consider a swap deal for De Gea, who might fancy a return to his homeland with a team who will compete for trophies season in season out and Mourinho would surely be happy to get a player of Ter Stegen’s calibre in return.